Anadarko Petroleum Corporation is an American petroleum and natural gas, exploration and production company formed in 1959 as a subsidiary of Pan Handle Eastern Corporation Pipeline Company, after the discovery of large amounts of natural gas in the Anadarko basin in Texas. They currently operate in the U.S and also internationally in Algeria, Ghana, Colombia, New Zealand, Kenya and Brazil. At the end of 2016 the company proved reserves were 1.72 BBOE and their mission is to deliver a competitive and sustainable rate of return to shareholders by developing, acquiring and exploring for oil and natural gas resources vital to the world’s health and welfare. Anadarko is headquartered in Woodlands Texas and they currently operate on the Roraima block offshore Guyana. Anadarko’s commitment to health, safety and the environment has been recognized by a number of awards and honors including the Top Work Places category won in 2016. Al Walker is Chairman, President and Chief Executive Officer of Anadarko Petroleum Corporation. He joined Anadarko in 2005 as Senior Vice President and Chief Financial Officer, later serving as President and Chief Operating Officer. 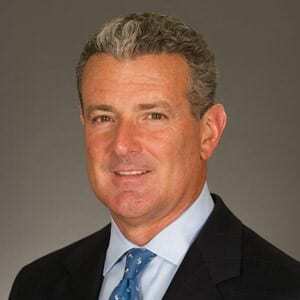 Prior to joining Anadarko, he worked in the oil and natural gas industry, investment and commercial banking, and as an institutional investor. Mr. Walker is a director of BOK Financial Corporation, serving as Chairman of the Risk Committee (NASDAQ: BOKF). He is a director of the Houston Branch of the Dallas Federal Reserve, Trustee for the Houston Museum of Natural Science, a member of the Business Council (Executive Committee), Business Roundtable, All-American Wildcatters (Chairman 2017 and 2018), and on the Board of Directors of the American Petroleum Institute (Executive and Finance Committees).